Correx Corrugated Plastic Floor Protection Our new warehouse means we have even more stock of Correx Corrugated Plastic Floor Protection for Next Day delivery at Unbeatable Prices! We supply Blue Chip building companies across the world with our innovative and class leading range of Floor Protection products. Many are Flame / Fire Retardant to LPS 1207 and similar Building Regulations. We also run a Price Beater Guarantee! Find a cheaper price, tell us! Other products include our award winning Sticky Shield range of Self Adhesive Protection Films for Carpets, Hard Floors, Hard Surfaces and Windows. Sticky Shield is a range of Colour Coded Printed and Branded Films showing you "proof of brand" unlike many of our competitors which supply "plain unbranded" films imported from China which are not backed up with a brand! 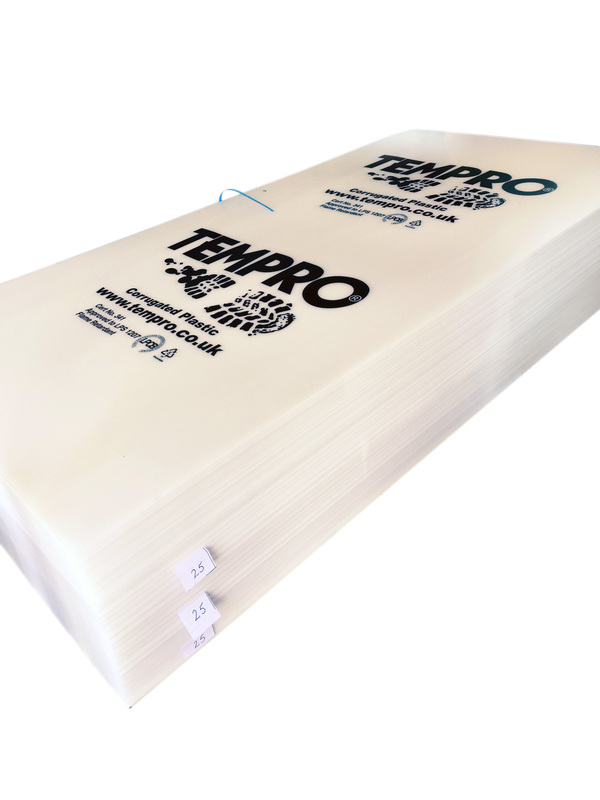 For more information on all our Temporary Site Protection Products including the Fantastic Builders Board simply give on eof our Friendly Sales Team a Call on 01268 768 768 NOW!